Tellurex Corp. 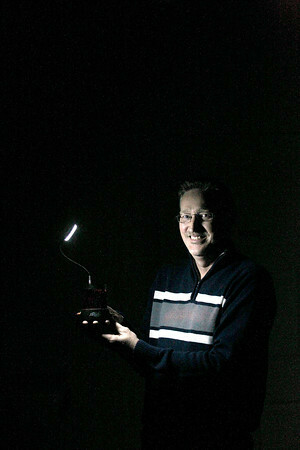 Program Manager of Power Generation Products Rich Harmon (cq) holds the Enviro-Light, which uses the heat from a tea candle to power a LED light that's approximately 20 times brighter than the candle flame, a directional, full-spectrum white light. "The candle is the battery in essence," said Harmon. "We're harvesting that heat."